The new Vision X Evo Prime LED Light Bar's powerful design and Prime Drive Technology make the Evo Prime everything you need and more. And with a 50,000 hour lifespan, PWM Dimmability, and Electronic Thermal Management all with extremely low amp draw, the Evo Prime from Vision X is the most advanced LED light bars on the market. Being manufactured from extruded 6061 aluminum, the Evo Prime is tough enough for all conditions. The front has the ultimate protection of an unbreakable polycarbonate lens, while the bottom has the Vision X designed stud mount with vibration dampening rubber on the single stack, and a trunion bracket for mounting on the double stack allowing for unmatched adjustability. And with an IP rating of 68, the Evo Prime is totally protected from dust and is protected against long periods of water submersion under pressure. Evo Prime will do everything you need it to, no matter what the weather conditions are. The Evo Prime is driven at 90%, meaning less energy wasted and more light output. 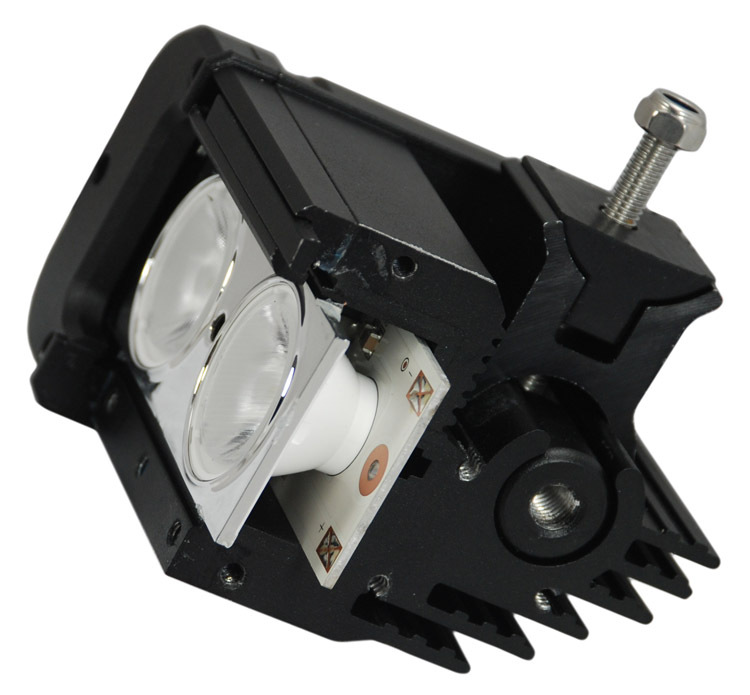 This allows for the most lumens while maintaining the optimal operating conditions for the LEDs.